These simple customizations are required for full functionality of the Birthday Reminder sidebar component. Click the "Get It Now" button from the Birthday Reminder AppExchange Listing or Click the "30-Day Trial" button from the product page on this website (InteractiveTies.com/birthdays). 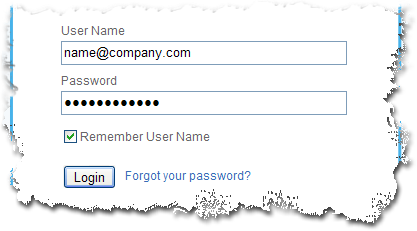 You will be prompted for the login credentials for a Salesforce org. Please provide the username and password for the org in which you would like to install the Birthday Reminder. Then click the Continue button. The page will display all the contents of the package you are about to install. This page is merely informational. Click Continue. 1. Approve API Access for the Package - the first step of a three step process is to approve the API Access required to run the Birthday Reminder. Simply click the "Next" button. 2. Choose the Security Level - the second step will allow you to update your existing Salesforce profiles with access to the contents of the package. Since the Birthday Reminder can only be accessed from the included Home tab component, you should select the "Grant Access to All Users" option and click the "Next" button. 3. Install the Package - the last step in the process is to actually install the contents of the package with the settings you made in the previous steps. Be sure to check the box reading "Ignore Apex test failures that may cause the installed application not to function properly." Then click the Install button. Check the box next to "Upcoming Birthdays" under the section of the page reading "Select Narrow Components to Show." Click "Next". Use the selectors to move the Upcoming Birthdays component to the top of the page or into whatever order makes sense for the page layout. Still have questions? Click here or give us a call at (716) 218-8313.